Endothelial cells play a crucial role in the pathogenesis of many diseases and are highly sensitive to low gravity conditions. Using a three-dimensional random positioning machine (clinostat) we investigated effects of simulated weightlessness on the human EA.hy926 cell line (4, 12, 24, 48 and 72 h) and addressed the impact of exposure to VEGF (10 ng/ml). Simulated microgravity resulted in an increase in extracellular matrix proteins (ECMP) and altered cytoskeletal components such as microtubules (alpha-tubulin) and intermediate filaments (cytokeratin). Within the initial 4 h, both simulated microgravity and VEGF, alone, enhanced the expression of ECMP (collagen type I, fibronectin, osteopontin, laminin) and flk-1 protein. Synergistic effects between microgravity and VEGF were not seen. After 12 h, microgravity further enhanced all proteins mentioned above. Moreover, clinorotated endothelial cells showed morphological and biochemical signs of apoptosis after 4 h, which were further increased after 72 h. VEGF significantly attenuated apoptosis as demonstrated by DAPI staining, TUNEL flow cytometry and electron microscopy. 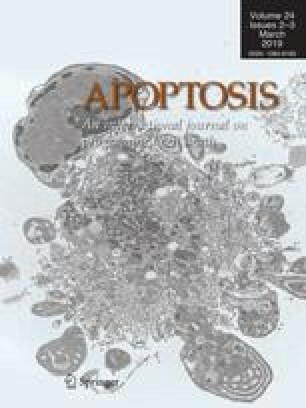 Caspase-3, Bax, Fas, and 85-kDa apoptosis-related cleavage fragments were clearly reduced by VEGF. After 72 h, most surviving endothelial cells had assembled to three-dimensional tubular structures. Simulated weightlessness induced apoptosis and increased the amount of ECMP. VEGF develops a cell-protective influence on endothelial cells exposed to simulated microgravity.